What do YOUR Cholestrol / Cholesterol Levels mean? If you would like an analysis of your cholesterol levels, by me, then email your results, while keeping your history brief. Also, when asking for the cholesterol analysis, please keep the cholesterol information such that it wont identify you to others and always check with your doctor before acting on anything I write or say. Hello. I am giving my cholesterol and other details as below. Kindly advise me whether I should start drug therapy for my cholesterol levels or if dietary control of my cholesterol will be enough . I have quit smoking last week (prior to that i smoked for 3 months. before that i had quit smoking).my BMI is 23.8. .... I consume moderate alcohol ( 2 drinks per week ). Please advise about the cholesterol diet also ... I also exercise about 40 minutes a day, three to four days a week. I am not able to advise, only make suggestions based on my own expereince and knowledge. I am NOT a doctor. From our Cholesterol levels page, it appears your total cholesterol is just within the normal range - True? If No Heart Disease then ldl looks acceptable - True? HDL appears too low - True? If so, then cardiovascular accident is at increased risk. Cholesterol Ratio appears too high - True? Smoking causes hdl to drop and is a big cause of cholesterol problems and resultant cardiovascular problems. From our Smoking and Cholesterol page, stopping smoking should lead to a decrease in ldl cholesterol and increase in hdl cholesterol and improvement in the cholesterol ratio. The effect of exercise on cholesterol is covered on our Reduce Cholesterol page, in the section on exercise: In essence, Exercise may enhance the positive shift in the cholesterol ratio, increase hdl cholesterol and decrease ldl cholesterol. According to the Australian federal government, exercise level should be about one hour in duration per day, every day, to maintain a good level of health. In this regard, your level of exercise appears lacking. Recheck cholesterol levels in, say, 12 weeks and see how you are going. As to the question on diet - if you are overweight or have a high saturated fat diet, then it is normally good to diet from a cholesterol perspective. Also, if you use some of the foods indicated on Lower cholesterol naturally page , that you like, but more often, they may help quicken the lowering of your bad cholesterol and a faster improvement in your cholesterol ratio! In your case, the cessation of smoking may prove to be the big item for healing your cholesterol. Always remember to discuss with your doctor anything I provide. Hello ... I'll give you a brief history and then ask my question. every day), and see what the cholesterol levels looked like the following year. peanut/macadamia oil, moderate red wine consumption, and a few other items. long as the next test results show a reduction in my cholesterol readings - I really don't want to go on medication). of the best organic pork sausages I've ever found! I'm not a doctor, so I can't diagnose nor advise you on your cholesterol problems. I'm someone who use to suffer from high cholesterol and some of the other things that go with that, so the best I can do is make suggestions about cholesterol levels based on my own experience with cholesterol and research on cholesterol. But, I got my cholesterol levels under control, whereas most people just keep failing to, which says something. cholesterol tables, whether Spanish or Italian or American or Australian. So the Mediterean diet that you appear to be using does not appear to alter what the cholesterol readings should be. reading is 1.3, which is normal for a hdl cholesterol level. HDL cholesterol represents the cholesterol leaving the body, ldl cholesterol the cholesterol that is in excess of the body's needs to some extent, so it doesn't make much sense if the hdl cholesterol was greater than the ldl cholesterol, because where is the cholesterol coming from? Even though you still disagree with me, If you were to discuss this with your doctor again, my guess would still be that you had normal hdl at the start as well, with elevated ldl cholesterol. But, irrespective, if we turn our focus to the current cholesterol readings, then we can see ldl cholesterol appears to be quite high, going on the normal hdl cholesterol level and the elevated total cholesterol level. The triglycerides level was above 4.5, which is getting quite high, but you are still being protected by the hdl level to some extent. If we work from Cholesterol definitions, we can see that vldl cholesterol, which is the triglyceride cholesterol, is the left over product from excess calories consumed to what can be absorbed by the body's fat cells, so it floats round in the blood stream. So, it may be good to visit the two health calculators we have on this web site, that is Saturated fat and calorie calculator , to check out your allowance of these things and BMI calculator, fitness calculator and weight loss calculator to get an idea of where your body health level is currently at and where it should be. From the defintions above, I suspect your cholesterol and triglycerides are perhaps a symptom of an underlying lifestyle problem. However, it is unusual to have high triglycerides and good hdl cholesterol levels together. My cholesterol levels page covers Triglycerides and it's causes, which can include genes, certain drugs, excessive alcohol and so on. my ldl cholesterol and asking my doctor very solidly about the triglyceride readings and getting to the bottom of the high triglycerides level. pork sausages and eggs, as, from what you say, they didn't drop much further than the 6.3. In essence you appear to have been living with uncontrolled cholesterol levels. You are possibly in cholesterol creep, in this moment in time, but hopefully that is being turned round. For a start, check out the Sample diet to lower cholesterol and see if you can modify that to your taste. 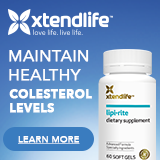 Also check out the cholesterol web page Lower cholesterol naturally and see if there are foods, herbs, vitamins, minerals there that are suitable. Also, another web page that you might like to check out is Cholesterol Myth , as it includes a section on Vitamin C and exercise as a possible combination to combat dangerous cholesterol and cardiovascular disease. Finally, fish oil may be useful, but it is a three edged sword. Fish oil increases the good cholesterol, but it also increases the bad cholesterol by more than the increase in the good cholesterol, but fish oil is pretty good at lowering triglycerides in the blood. It is difficult to say more, as the bad cholesterol reading wasn't given. Haven't seen a clinic say that before about ldl cholesterol and triglycerides, so don't really know. May be not enough blood taken or the triglycerides perhaps are masking the ldl cholesterol. From vague memory which may be erroneous, the two are close in their chemical composition, but I believe they can be tested for seperately. Please, please, keep in touch and remember, check everything with your doctor first. My last blood test on Dec.11 showed HDL level of 101, Trig @ 87 and LDL of 153. My LDL level was flagged as too high, yet my "good" Cholesterol of HDL is extremely high @ the 101 level. How could this be interpreted? LDL cholesterol of 153 is Borderline - Assuming no risk factors nor coronary disease already present. If too many risk factors or coronary disease already exists, then aim is to reduce the ldl cholesterol to less than 130mg/dl . HDL of 101 mg/dl is high - I assume that is the correct measure mg/dl? If it was mmol/l, it would be just in the lower end of normal. Matter of interest, do you use olive oil? Triglycerides of 87 mg/dl is normal. The HDL represents the cholesterol leaving the body, the high reading suggests your level of HDL cholesterol may be offering you some extra protection from your elevated LDL. The LDL is borderline and it is probably a good idea to check your diet for cholesterol and saturated fat, add a few ideas from our page on lowering cholesterol with foods, herbs and so on and follow the directions given by your doctor to lower the hdl cholesterol. Do not overlook the importance of exercise to lower cholesterol in helping your situation or lowering your weight if you are overweight. All the best, always check everything here with your doctor first and please let me know how you go. Also, thank you for the opportunity to go over your cholesterol levels, Donald. I am a a 47 year old male and have been very interested in your website. I don't smoke and I drink only on weekends @ 4-5 drinks per session. I have high blood cholestrol and the following are the latest figures. My doctor has just recommended that I take Lipitor. My mother has had high cholestrol her whole life up to 9. She was put on a statin and collapsed. She then removed her self from this( against her doctors orders) and is fine to date , she is 74 years old. My Father has high cholestrol and is 84 years old but had a triple bypass @ 66 years old. He still has high cholestrol. He has tried every diet and it failed to lower his cholestrol. How does CEQ10 interelate with the statin drugs and is there anything in your formulas that may have a side effects. I would like to reduce my chelosterol any other way other than using these powerful drugs that are dished out by the medical profession. Drug interactions are very much something you must talk to your doctor about. I suspect that you are looking at Heart Savior, which I suggest is a good choice in your case, but you do need to talk it over with your doctor first. The interesting thing in your profile is that your total cholesterol and your trigycerides are so high, but LDL is just borderline, while HDL is OK. Eating lots of deep sea fish, or fish oil high in DHA and other omega 3's, may be quite benefical in your particular case. Fish oil can work a treat on high triglycerides. From memory, the amount of alcohol you are drinking is not good for you. I have an old book on the effects of alcohol that you might find interesting. CQ10 is heart protective, but wont necessarily do anything for your blood readings. As usual, please discuss my suggestions with your doctor before acting on any of them.